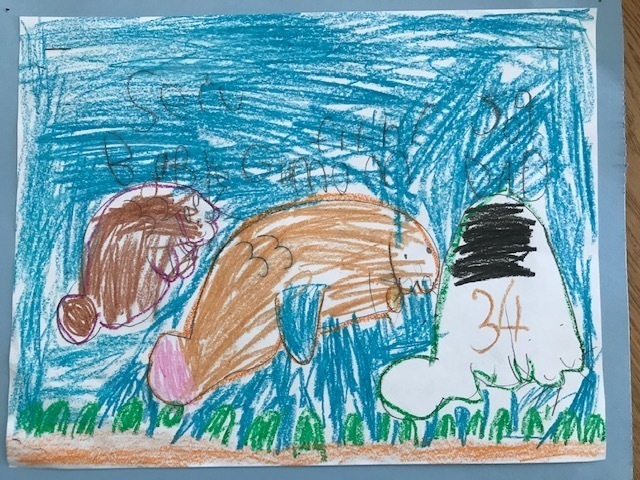 We have been learning all about manatees in first grade. 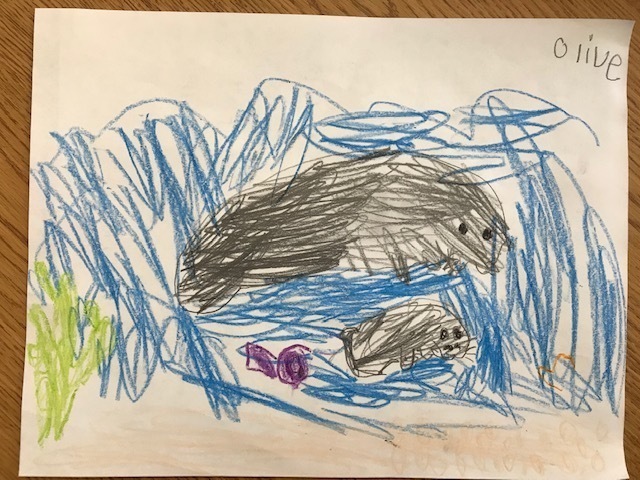 Here are a few examples of informative writing that students wrote after we read many books about manatees, learned about gathering facts, and wrote an informational piece. Do you know about manatees? Manatees breathe air. They stay under water for 2-3 minutes. They are close to extinction. Manatees are related to elephants. These are some facts about manatees. Do you know about manatees? They are mammals. They are related to elephants. They go squeak, squeal and chirp. Now you know about manatees. Yesterday our classes each voted on a manatee to adopt. The children had one of their first lessons in democracy and majority rules! We will be sending money that the children earned to help our manatees, Una and Howie.